Cleansing the skin is the most effective way to get a fresh and flawless look. The more you keep your skin clean, oil & dirt free the more you will lead towards ageing gracefully. 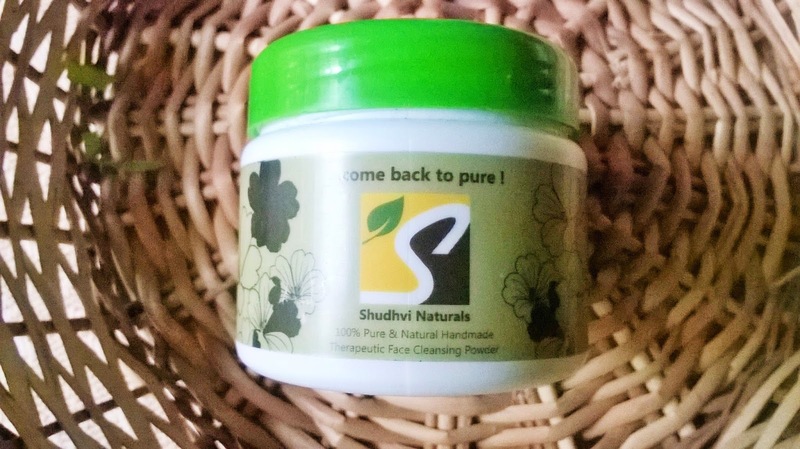 Today I will be talking about a cleanser that is 100% pure and natural and that is the Shudhvi Naturals Therapeutic Face Cleansing Powder. 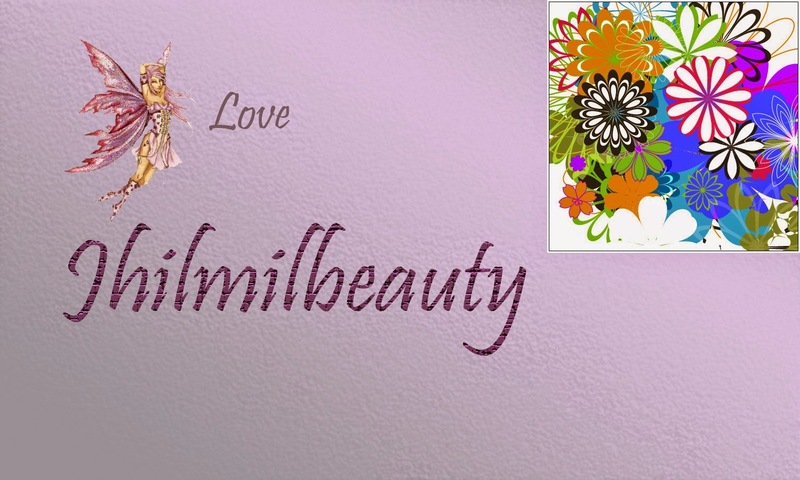 Brings instant freshness, health, radiance & smooth complexion naturally. Lightens marks, spots and removes dull skin. Detoxifies, improves skin texture and tightens the skin. 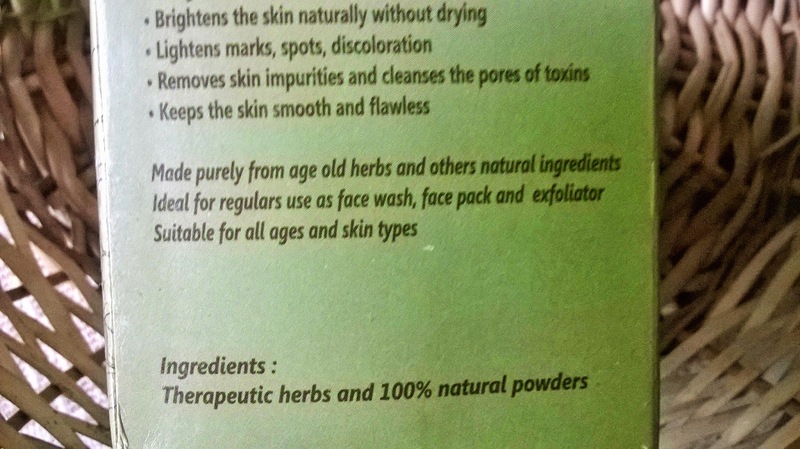 Packaging: Shudhvi Naturals Therapeutic Face Cleansing Powder comes in a Khaki green outer cardboard packaging. The powder comes inside a white plastic jar with a green twist-open cover and a translucent plastic inner cover. Product: The cleanser is in form of a very fine powder in blackish brown colour and a smell that strongly suggests the inclusion of fennel. 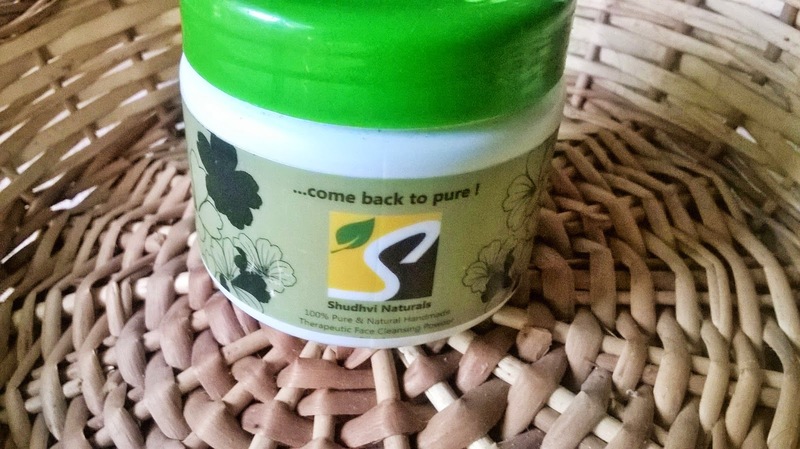 My Experience: Shudhvi Naturals Therapeutic Face Cleansing Powder is perhaps the second powder cleanser I am using. The first one that I had used was from a different brand and before that I did not have any idea on how a powder cleanser would be working. But when I learnt I could realize how nice and pure the effect can be. 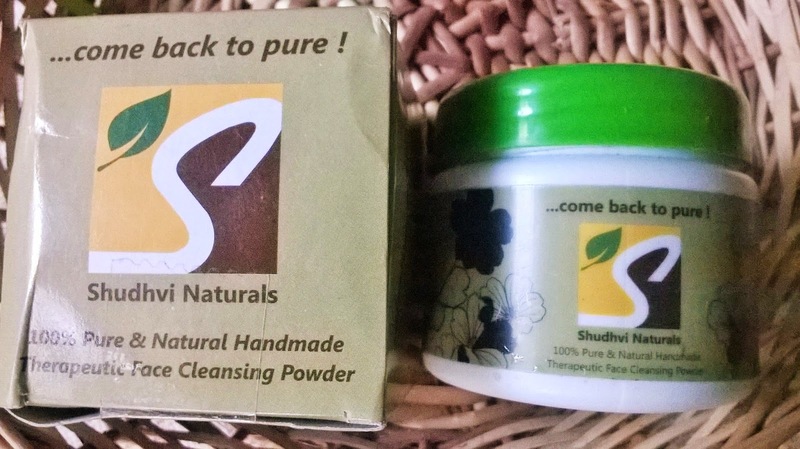 Since Shudhvi Naturals Therapeutic Face Cleansing Powder was the second cleansing powder that I was using, I had very very high expectations and this is something that actually works. 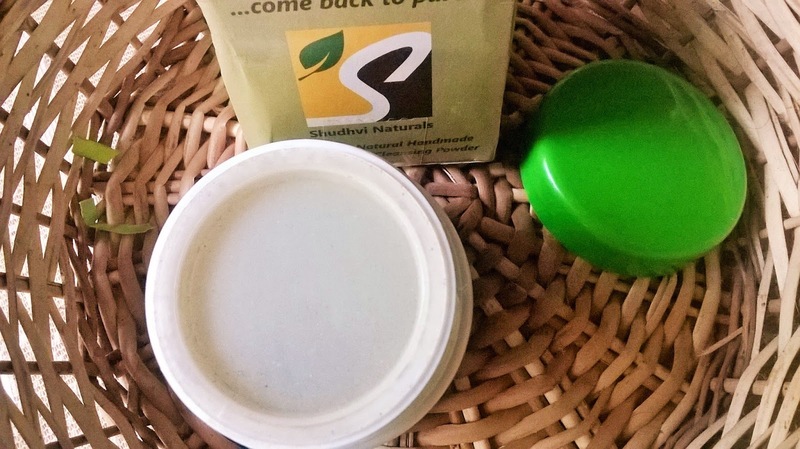 Shudhvi Naturals Therapeutic Face Cleansing Powder quickly gets diluted into a watery dark fluid that does not lather or has any scrub-like texture when you massage. After massaging for a minute or so when it is rinsed off, it may leave some residue as it tends to get dried on skin. 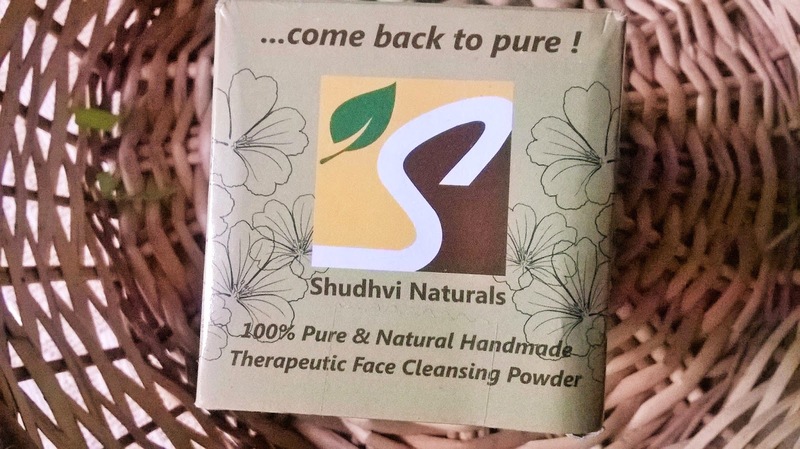 Shudhvi Naturals Therapeutic Face Cleansing Powder can be used as a face pack as well. I have used it as a cleanser and it really imparts a nice fresh glow. 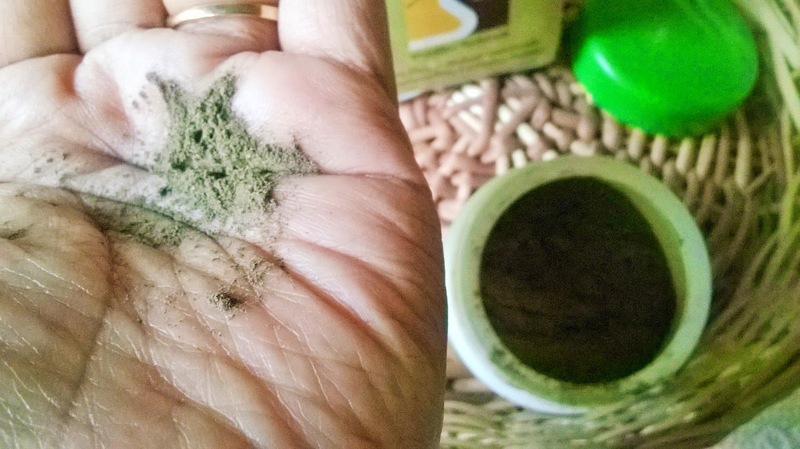 That is what is different in these 100% natural ingredient based powder cleansers. You can actually see immediate results. The pores also look quite tight and the skin radiant. The best thing is it is not drying for the skin. I use a rose water spritz on my face for freshening. But if your skin is very dry you may require moisturizing. 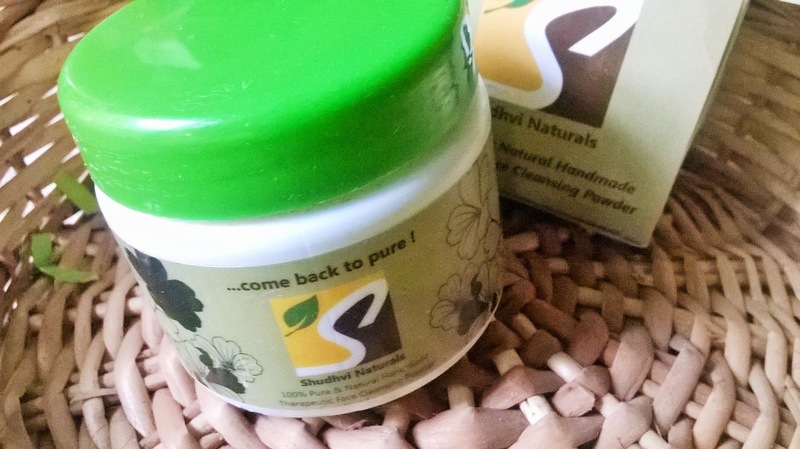 Shudhvi Naturals Therapeutic Face Cleansing Powder is a very decent powder cleanser that can be used on all skin types without the fear of getting dry skin. I would recommend it to those who want the pure goodness of 100% natural ingredients.